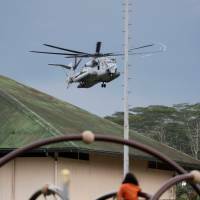 HONOLULU - Lava from Hawaii’s erupting Kilauea volcano threatened to cover more wells at a geothermal power station on Monday as a fresh blast from the crater sent an ash plume almost 15,000 feet (4,600 m) into the sky, officials said. Lava engulfed the heads of two wells that tap into steam and gas deep in the Earth’s core at the 38-megawatt Puna Geothermal Venture on Saturday. Its operator, Israeli-controlled Ormat Technologies Inc., said it had not been able to assess the damage. Residents fear the wells may be explosive. 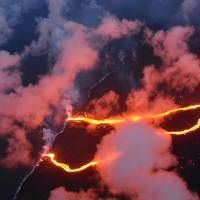 Officials have said the power plant is safe but lava has never engulfed a geothermal plant anywhere in the world, leaving a measure of uncertainty. 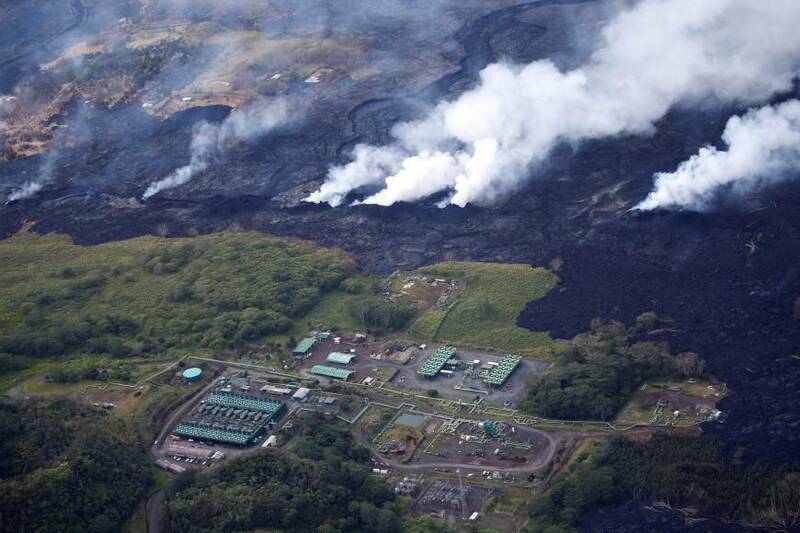 “The lava continues to flow and may reach other wells and areas of the Puna facility,” Ormat said in a statement on Monday. Ormat said that the plant represented about 4.5 percent of its total generating capacity and that major damage or a shutdown could have an “adverse impact” on the company’s business. At least 82 homes have been destroyed in the southeast corner of the Big Island and about 2,000 people have been ordered evacuated since Kilauea’s once-in-a-century eruption started on May 3. About 2,200 acres (890 hectares) have been scorched and the eruptions are expected to cut tourism revenues by about $3 million as cruise ships cancel visits. 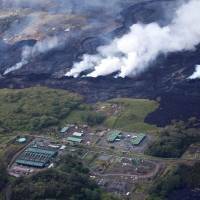 The head of the state’s emergency management agency has said the potential threat from the lava reaching the geothermal plant was untested. Local residents fear an explosive emission of deadly hydrogen sulfide and other gases should wells be ruptured. Authorities have shut down the plant, removed 60,000 gallons (230,000 liters) of flammable liquid, and deactivated the wells. The sole reported serious injury from the eruption so far came when a man was hit by flying lava. Firefighters also had to lead a man from his home near Kilauea late on Sunday after he was trapped by fast-moving lava, Hawaii News Now reported. 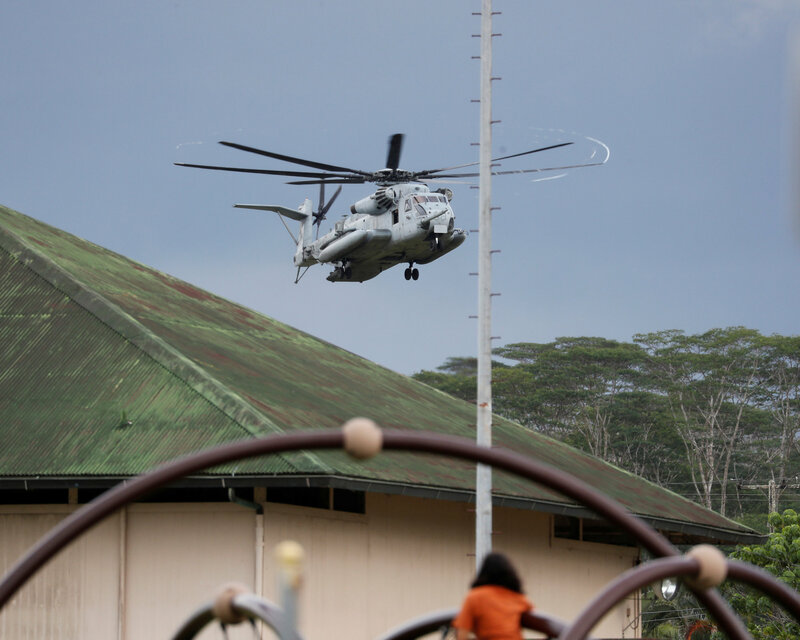 The civil defense agency had ordered more residents of the vulnerable Leilani Estates area to leave because of the lava. A fresh eruption from the summit’s Halemaumau crater on Monday sent ash almost 15,000 feet (4,600 m) into the air, said Maureen Ballard, a National Weather Service meteorologist in Honolulu. It was among a series of explosions recorded by weather service radar, she said by phone. Four explosions on Saturday sent ash as high as 12,000 to 15,000 feet (3,600 to 4,600 meters), officials said. 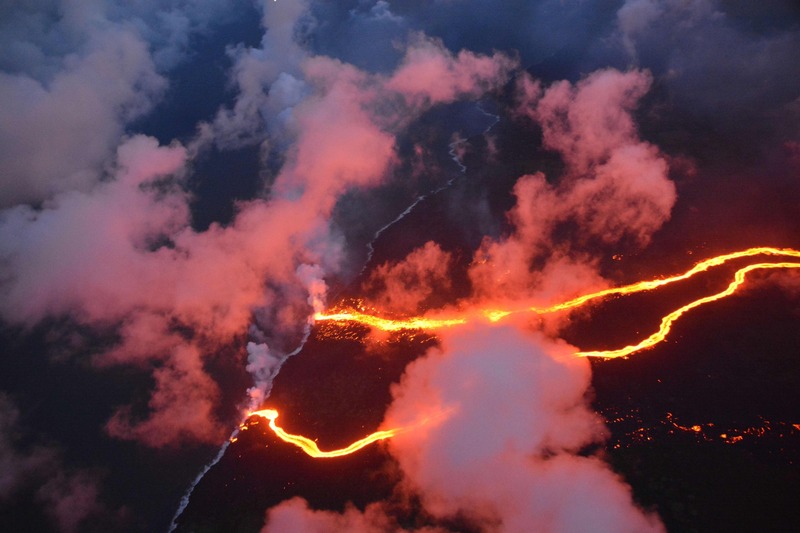 Magma has drained from Kilauea’s summit lava lake and flowed around 25 miles (40 km) east underground, bursting out of about two dozen giant cracks or fissures.